Danger at every turn, high stakes, and compelling characters. Believe it or not, you don’t need to see a scripted show or movie to get these thing, because on one show in particular they are all very real. 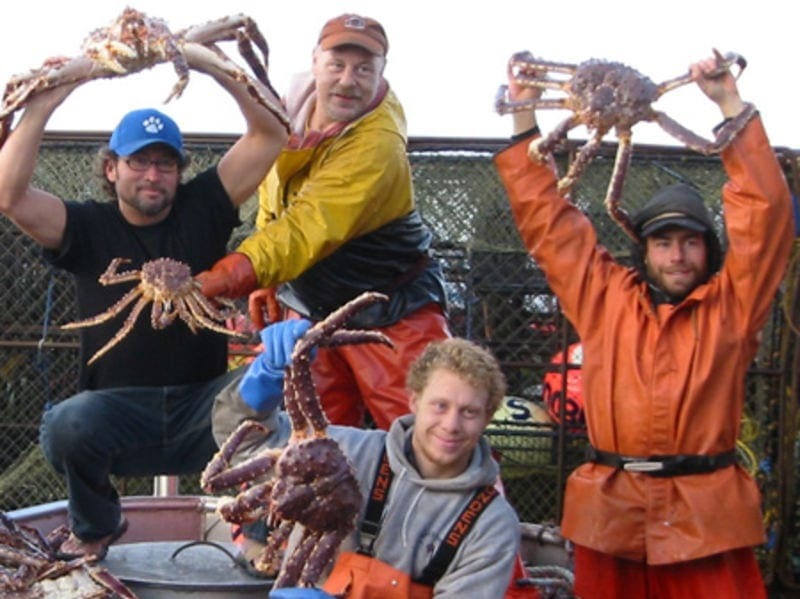 In 2005, when the Deadliest Catch first premiered on the Discovery Channel, people were instantly drawn in to the show. The documentary series shows the harrowing ventures that Alaskan fisherman go through in their quest to fish for top tier crab in the Bering Sea. Between storms, heavy equipment, and the turbulent waters, there is natural danger to the job these men take on, and the cameras are there to catch it all. Now in its 14th season, the show has established a loyal fan base, with new people still discovering it all the time as well. If you’ve been watching the show since day one you might think of yourself as the expert on all things Deadliest Catch, and feel like you really know all the ins and outs of the show. But you might be surprised to learn just how much your favorite captains are worth, who got sued by a crew member, or who narrates the show. So sit back, relax, and let’s dive in to everything you need to know about the show. 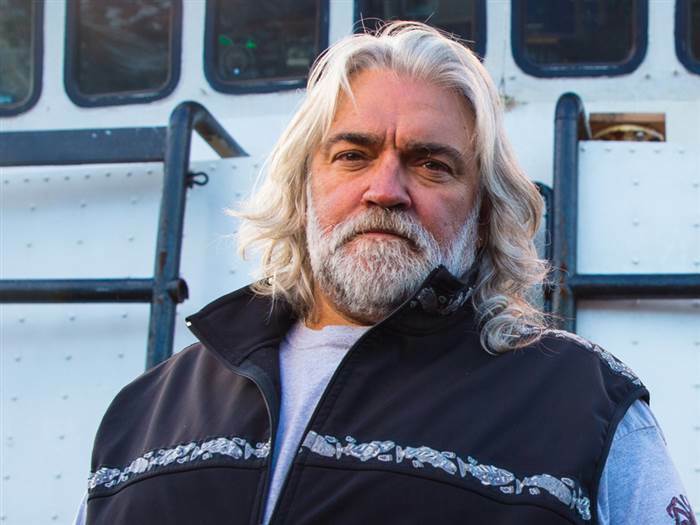 Sigurd Johnny Hansen, or better known as Sig, is one of the most well known and recognizable boat captains on Deadliest Catch. He started fishing at a young age on his family’s boat, and after high school he began working on boats full time. By age 24 he was captaining the Northwestern and never looked back. 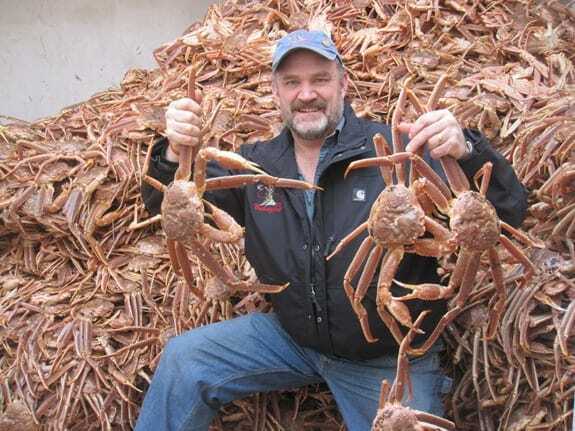 His time on Deadliest Catch and in the crab industry has been very successful, and today he has a net worth of around $3 million! Sig has faced many ups and downs on the show, including a heart attack in 2016 that was caught on camera. But despite everything, he remains a fan favorite. The boat captains and their crew are always front and center on the show, so it can be easy to forget that their are other people on the boat with them. During the filming of the show, the film crews are right on the boat with them, and they don’t get to leave. In fact, they stay on the boat with them for the whole crab season, which can last anywhere between three to five weeks. Some of the captains start seeing them as part of the crew because they are around them so much, and they end up forming genuine relationships with them. 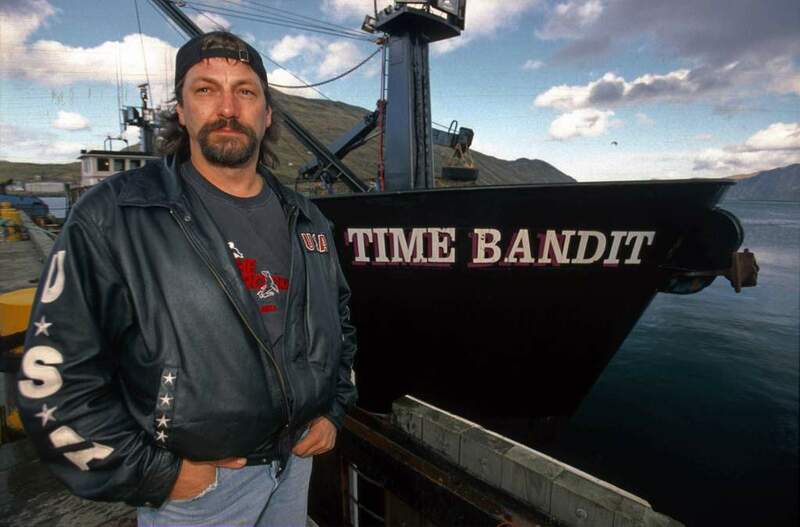 Johnathan Hillstrand is both co-captain and co-owner of the Time Bandit, one of the other well known ships on the show. 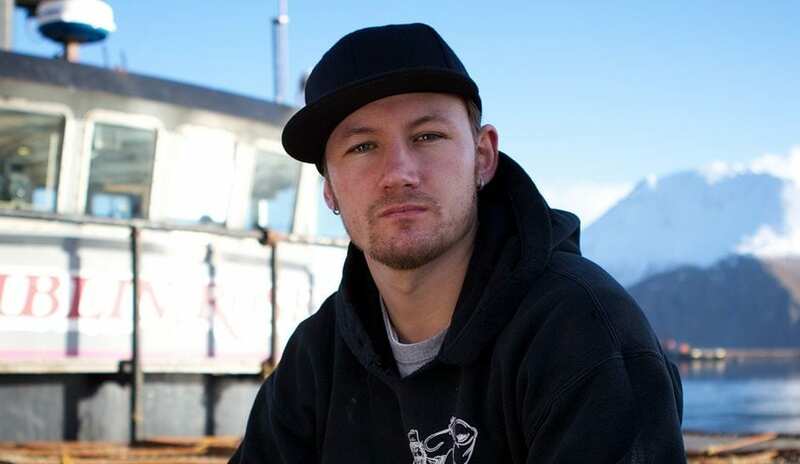 He is a third generation fisherman from Alaska, and has been around fishing boats since he was a toddler. 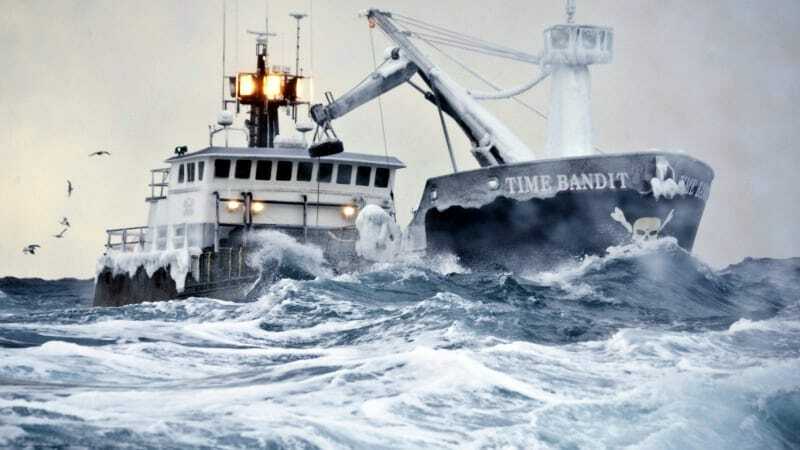 He has an impressive net worth of $2.2 million, which he has earned from his time on the Time Bandit, as well as a number of other enterprises that he operates with his family. As those who watch the show know, Johnathan has quite the reputation for being a jokester on the boat. 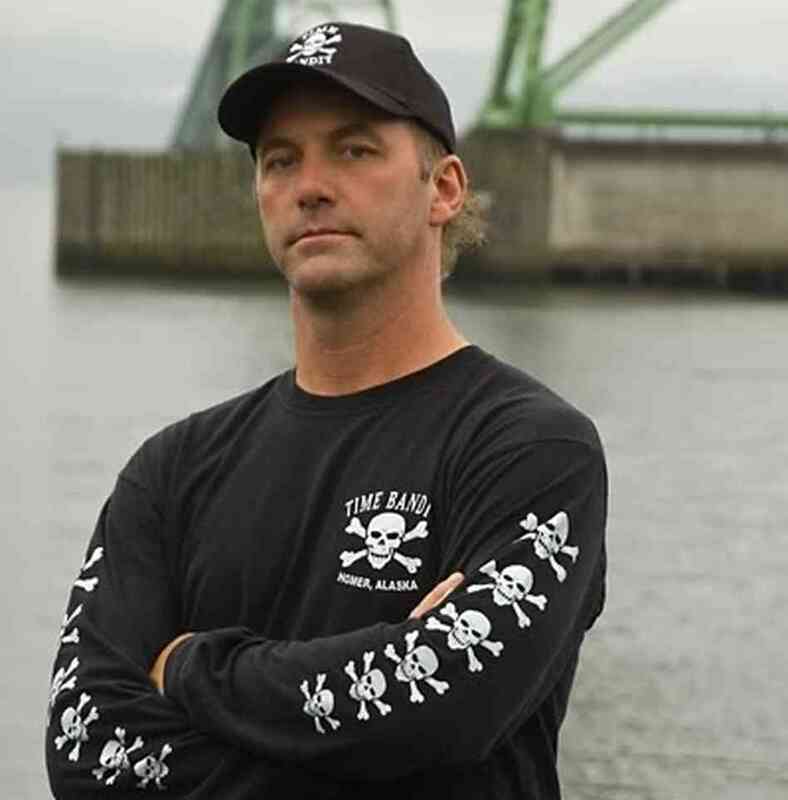 Andy Hillstrand is Johnathan’s brother, and is the other co-captain for the Time Bandit. And like his brother, he also got an early introduction to boats and fishing. However, unlike Johnathan, Andy is seen as more level headed, and the one who takes the fishing business more seriously. He has a networth of $1.5 million, which comes from his time on the boat as well as his other business, Hobby Horse Acres. When he’s not catching crab, Andy owns and operates a ranch in Indiana alongside his wife and his two daughters. 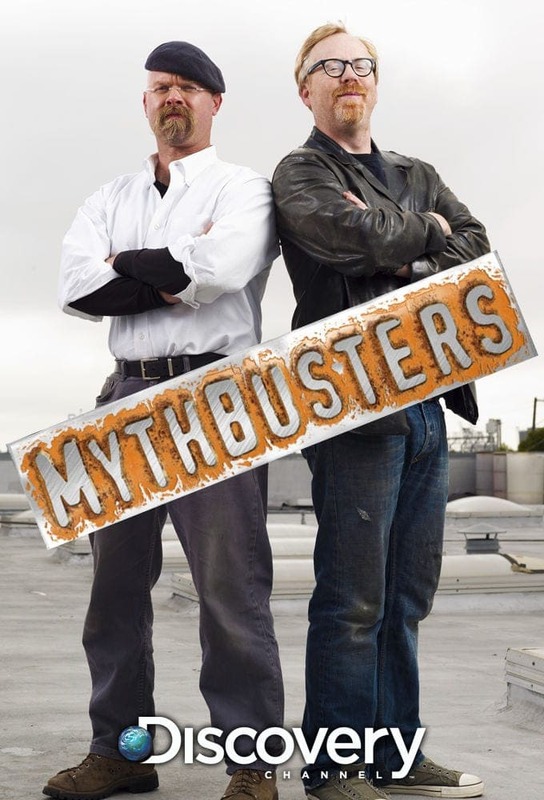 During the show’s fourth season in 2008, a controversy arose that had some fans perplexed. An episode showed an intense storm that was affecting the boats, but after it aired some people noted that the episode was supposed to have been filmed in September, and there was no storm of that magnitude at the time. Did Discovery fake the storm? The truth is that everything they shot was real, but they had cut together footage from a more intense storm that October to give the scene more dramatic effect. Bill Wichrowski, better known as “wild” Bill, has been working in the crab industry since 1979. Before becoming captain of the Cape Caution he had worked as a boat electrician, fisherman, and naval engineer. In fact, as a young man he enlisted in the U.S. Navy, and served for four years. His net worth tops out at around $3 million, and he has earned it all from his many years in the commercial fish and crab business. Wild Bill has a reputation for being a bit intimidating, while also being unconventional in his methods with his crew. There have been changes to the environment around the world, and Bering Sea where our Deadliest Catch boats operate has been no exception. Experts have estimated that temperatures in the Bering Sea have risen at least four degrees, which has caused many of the crab to begin moving elsewhere. This has affected the show, and at times they have wondered in recent years if there would even be anything to film. And for the captains, meeting their quotas of crab has become even more challenging. Josh Harris is the captain of the Cornelia Marie, a position stepped up to after the untimely death of his father, Phil Harris. Phil’s rush to the hospital was caught on camera in 2010, and his death left a huge impact on both Josh and the show. Josh struggled to keep his father’s boat running, but many would now say he has been successful. He has a net worth of $800,000, which is impressive for a young captain like him. Of all the captains on the show, Elliot Neese is the youngest, but he is certainly not without experience. He began working on fishing boats at age 12, and running his own by the time he was 19. He is now the captain and owner of the Saga, and has earned himself a reputation for running a tightly organized crew. Elliot has a net worth of $500,000, and spends between eight and ten months a year fishing and working on his boat. Some places enjoy when a show is filmed in their neck of the woods, but Alaskans certainly don’t feel that way about the Deadliest Catch. Besides the boats we see on the show, there are roughly 70 other Alaskan fishing boats that work in the same waters. These fisherman feel that the show has made it virtually impossible to compete with the other boats, and it’s affecting their business. Local new sources indicate that the show has adversely affected their economy, and had a heavy impact on the Alaskan crab fishing industry. 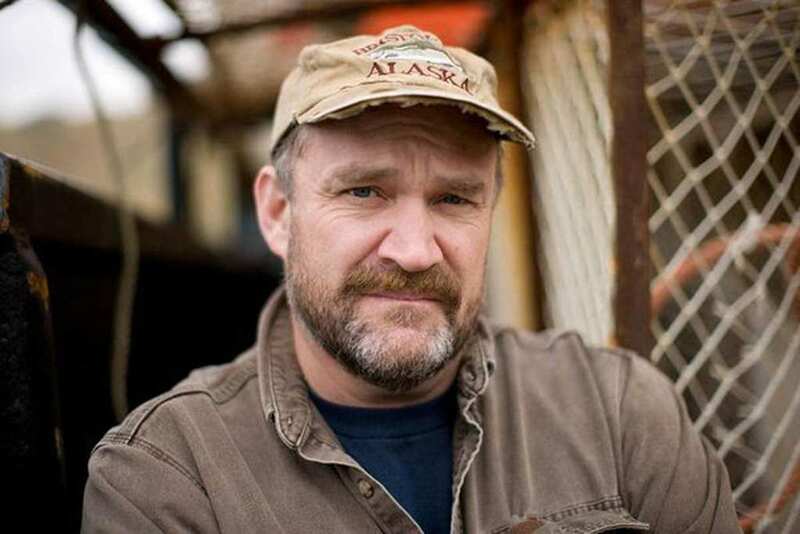 While many of the cast on Deadliest Catch have grown up in the fishing business, Keith Colburn is a first generation fisherman. He began as a young man in 1985, and slowly worked his way through the ranks on various boats. Today, he is the proud captain and owner of the Wizard, and has a solid place in Alaska’s crab industry. His net worth is around $1.5 million, which he has earned from fishing for crab and through his time on the Deadliest Catch. Scott Campbell Jr, often called “Junior,” is the captain of the Seabrooke. He took over the boat from his father, Scott Campbell Sr, when his father retired in 2008. For many years his father tried to dissuade him from following the family business of fishing, but Junior just couldn’t stay away. He has a net worth of $600,000, and he has worked hard over the last decade to turn the Seabrooke into a top notch vessel with high production value. Fans may not be aware that in 2010 there was some major drama going on behind the scenes. The Hillstrand brothers had been offered their own spin off special, and after filming it the network called them in to do voice over work, except the brothers said they were unavailable. This led to Discovery suing the Hillstrands for $3 million, and the brothers to subsequently quit the show, taking Sig Hansen with them. Thankfully, both parties were eventually able to come to an agreement, and before long, everyone was back on the show. 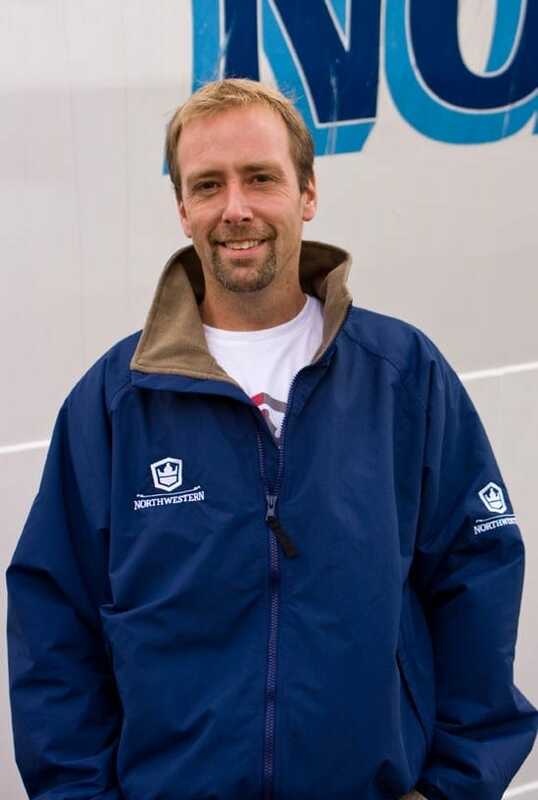 Edgar Hansen may not be a captain, but he is still an important part of the Deadliest Catch cast. 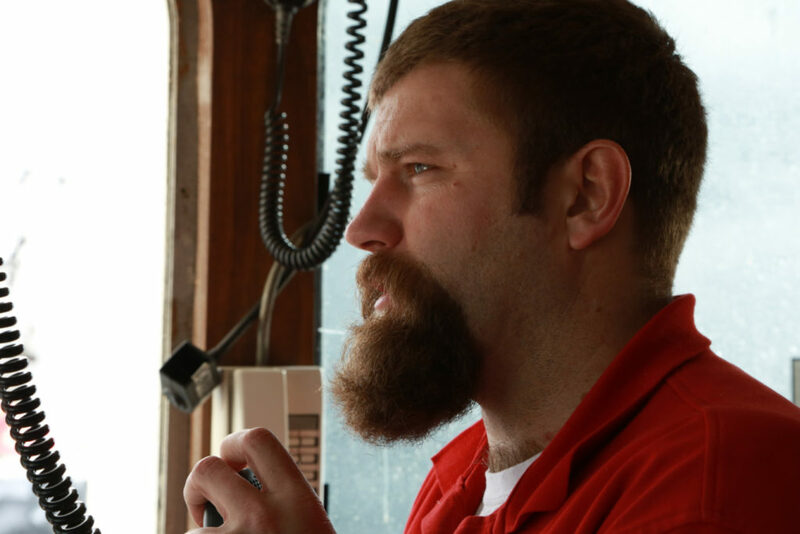 He is the younger brother of Sig Hansen, and he works alongside his brother on the Northwestern, serving as the ship’s deck boss and relief skipper. He’s not worth quite as much as his big brother, with his net worth topping out at about $700,000. While Edgar loves his work on the Northwestern, he also desires to spend more time with his wife and children, which has often left him feeling conflicted. Brad Petefish is also another member of the cast, who while not a captain, he works hard as part of the crew on the Seabrooke. Brad first met Scott Campbell Jr. when the two were only 18, and working on fishing boats in the same area. After his former boat was sold, Brad decided to move over to the Seabrooke to work with his friend. He currently has a net worth of $500,000, and while he may not own his own boat now, it’s something he aspires to for the future. The suit with Discovery isn’t the only time the Hillstrand brothers have run into legal trouble. In 2015 a former crew member, David Zielinski, sued the brothers for injuries he received during their 2013 celebration of the Seattle Seahawks victory. 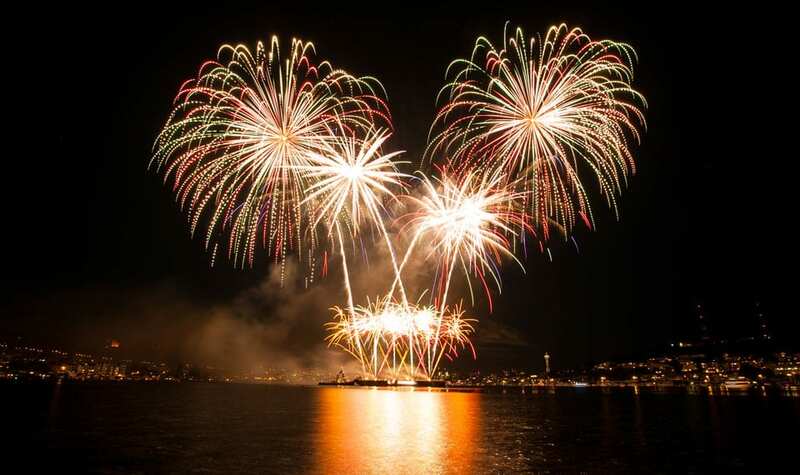 He had been asked to light a firework, which unfortunately exploded in his hand, leading to serious injuries on his hand and forearm. A judge ultimately awarded him $1.35 million in 2017, so the Hillstrands’ net worth may be on shaky ground in the future. Fans familiar with the show may often hear the captains and crew discussing “crab count” and the “Skipper’s Wager,” but many seem to be confused about the difference between them. Why will boats end up with different amounts of each? Well, the reason for the discrepancy is because of the difference between the “crabs per pot” and how many total pounds the crabs actually weigh. The bigger boats have an easier time with the total crab poundage, but any boat can win at the most crabs per pot, aka the Skipper’s Wager. As with every reality show, there are always skeptics who question how real the danger on Deadliest Catch actually is. But the danger is very real. 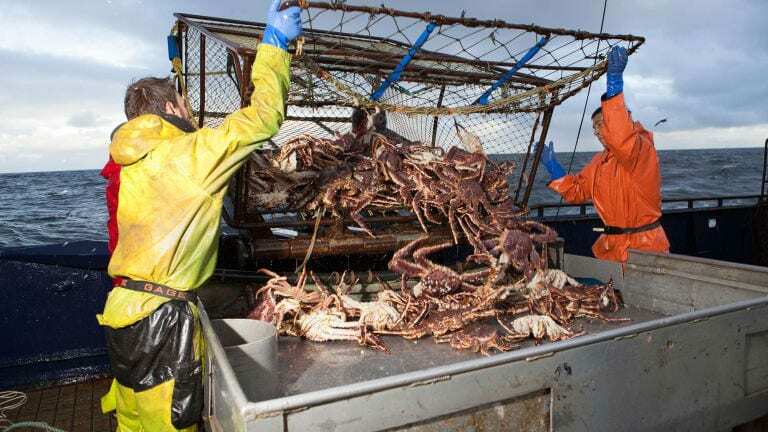 In fact, commercial fishing is considered one of the most dangerous jobs in America, with Alaskan king crab fishing being even more dangerous. Statistically the death rate during the main crab season comes out to around one fisherman per week, and the injury rate on most boats is at almost 100% because of the severe conditions they face. So be assured, the danger on the show is certainly not fake. Due to the rough conditions, and number of ships, the show opted not to have an onscreen host. Instead, the have a narrator who does voice overs throughout each episode. But, did you know that the person narrating changes based on where you are watching? If you are watching Deadliest Catch in America, the show is narrated by Mike Rowe. However, in the United Kingdom it is narrated by Bill Petrie, and in Malaysia by Nasir Bilal Khan. Discovery felt like audiences would relate more to narrators with accents they were familiar with. Some people might assume that with all the crab they are catching, the crew would be eating it all the time, but that’s where you are mistaken. To begin with, the crab is the product they are looking to gather and sell, so eating it is counter productive. Some of the captains have also explained the eating crab is too messy for a boat, and they need simpler options since meals don’t usually happen at set times. In fact, their diets tend to be less than ideal, so no crabs dipped in butter for them. 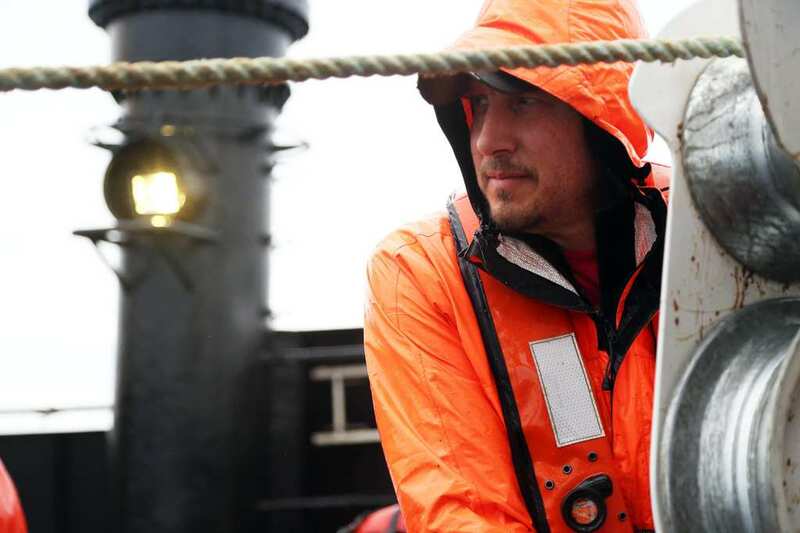 We all know from watching the show just how dangerous it can be out on the Bering Sea. 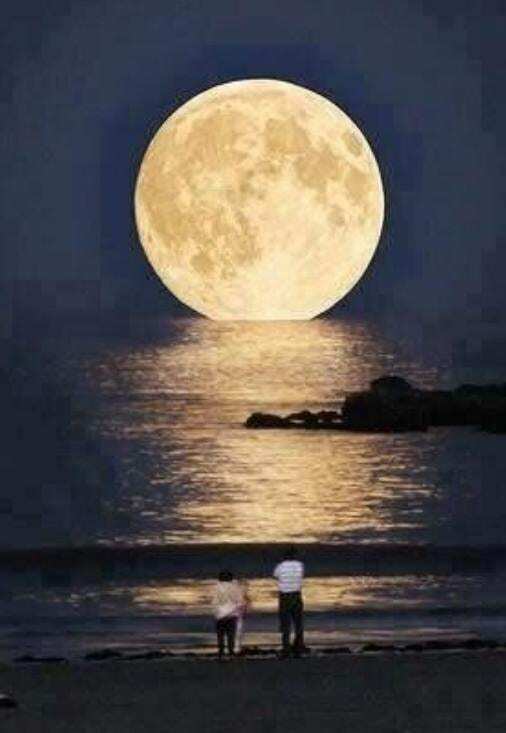 If you’ve ever learned ocean facts, you’ll also know that the seas can be greatly affected by the moon, as the gravitational pull can affect the tide. Recently on the series it was revealed how terrified the ships’ crews were of the “supermoon” that appeared in the skies in January. While for many it was a fun spectacle to take pictures of, for the fisherman it dramatically increased the size of the waves, putting them in greater danger. 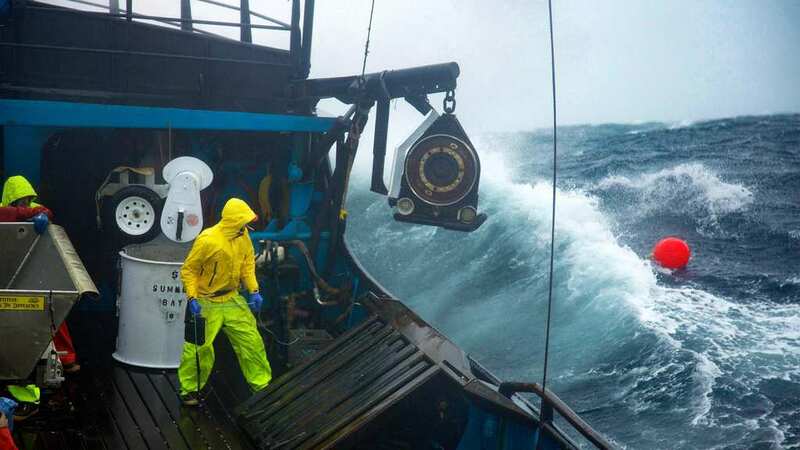 While the fisherman on the Deadliest Catch are undoubtedly facing dangerous conditions, some have questioned if it’s actually the “deadliest” out there for the industry. Some have said that fisherman in the Northeast who seek bottom dwelling fish can be worse because the fisherman have to be at sea for even longer periods of time. 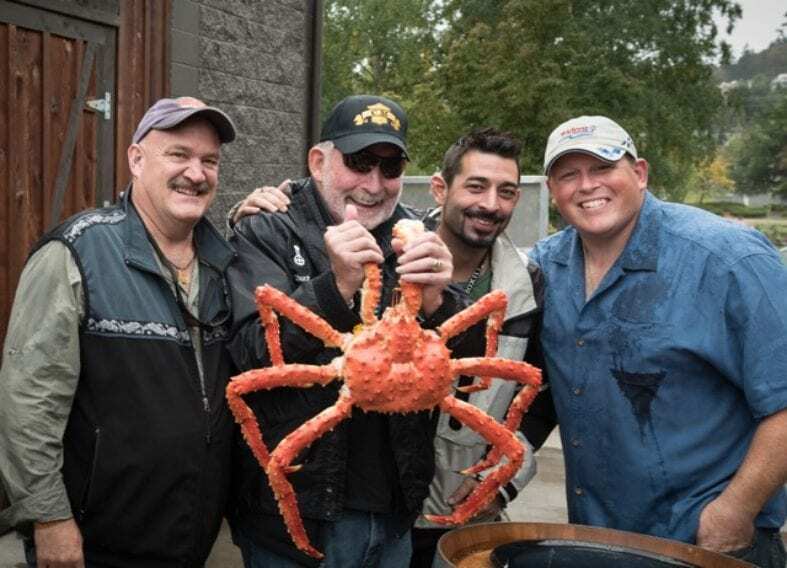 When it comes to crab fishing specifically, many have argued that the the Dungeness crab season is the most dangerous, while the cast of the show mostly seek out king crab and opilio crab. 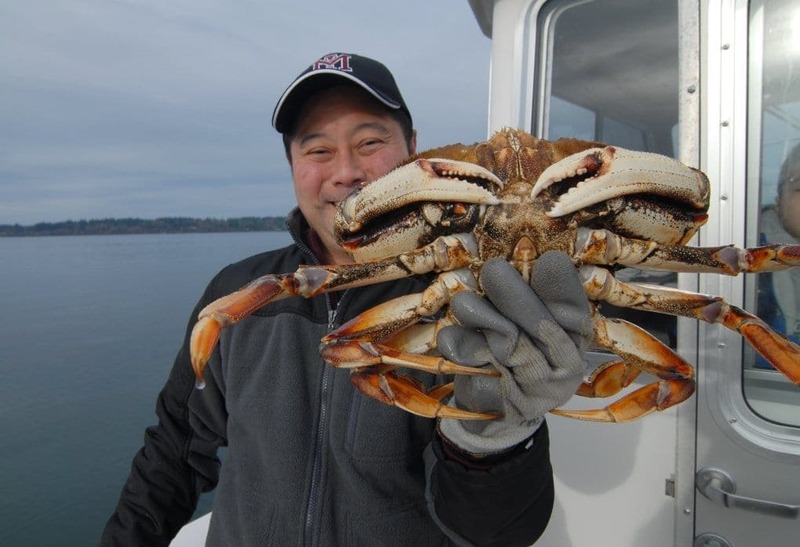 Realizing that Dungeness crab season is perhaps even more dangerous than what the cast of the series go through, the network decided that they should be featuring some Dungeness fisherman as well. 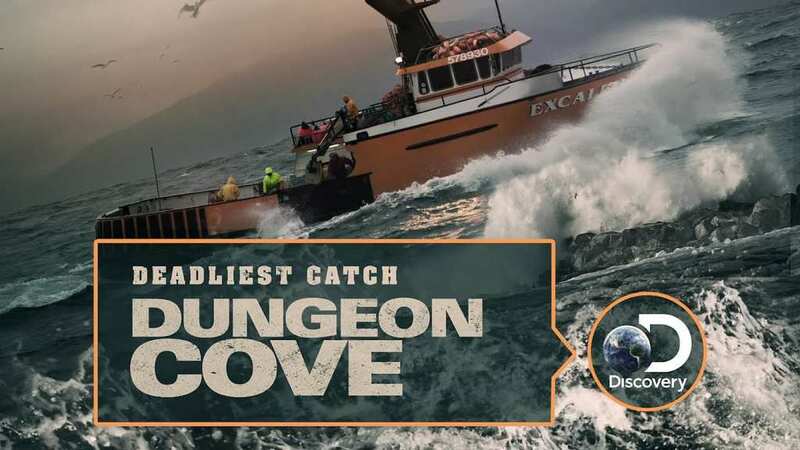 So, they decided to launch a spinoff titled, Deadliest Catch: Dungeon Cove. Premiering in September 2016, the series follows crab fisherman who work off the coast of Newport, Oregon, and who primarily go for Dungeness crab. Perhaps some day the show will find its way to the Northeast as well. 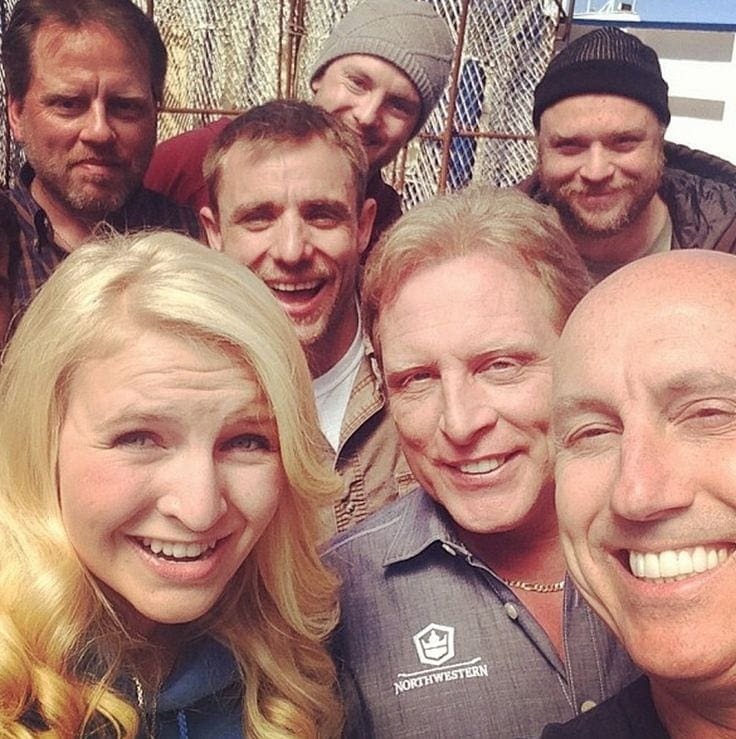 In 2013 one of Discovery’s other shows, Mythbusters, invited Johnathan Hillstrand and Junior Campbell to their show for a special Deadliest Catch themed episode. They were looking to bust three myths about crab fishing which were: if short naps help you through long 30 hour shifts, if you can get caught in a pot’s rope as it goes over and be dragged under water, and if crab pots are explosion proof. The first two proved to be plausible at the very least, but the third one was unfortunately busted. When watching the series it might seem like everything is constantly busy, and the fisherman are on deck, working hard at all times. There is so much that is put into a single action-packed episode, that it’s easy to forget that when the 45 minute show ends, the people in the show are still on that boat. In reality, the fishermen’s time at sea isn’t all action all the time. Shifts can last between 20 to 30 hours, so there’s quite a bit of downtime in there. But, of course, watching their downtime probably wouldn’t be as interesting. Jake is the younger brother of Josh Harris, as well as the other son of the late Captain Phil. 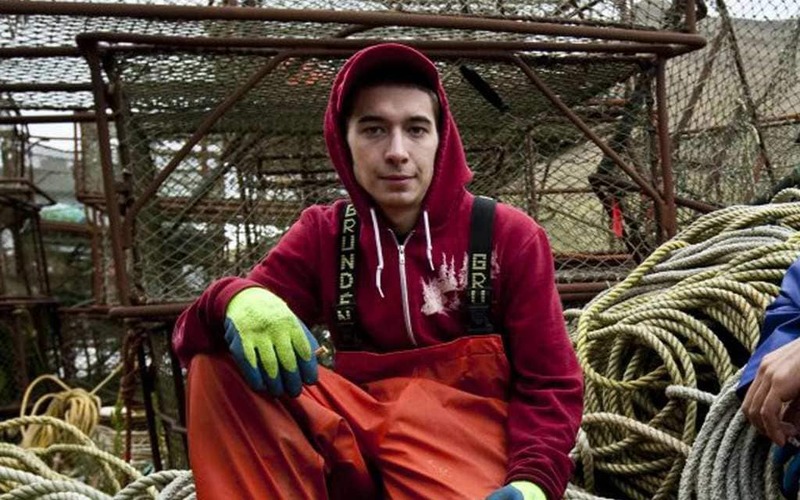 Jake was quite the fisherman, and easily a fan favorite on the Deadliest Catch. His current net worth is around $100,000, which is significantly less than his brother. Jake struggled after his father’s death, and has since been battling substance abuse issues, in addition to trouble with the law as well. However, word is that Jake has been maintaining his sobriety lately, and Josh has expressed that his brother is doing better. It’s not uncommon for fishing to be a job that is passed from father to son. 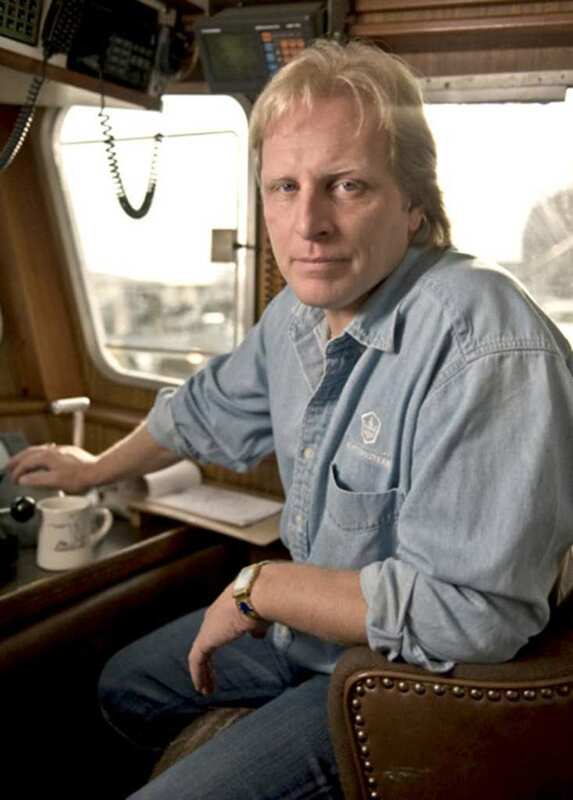 But in the case of Sig Hansen, it was his daughter Mandy who decided she wanted to join in the family business. In 2014 she joined the crew on the Northwestern, and now is currently working as a greenhorn on the ship. Mandy has a lot to prove as the lone fisherwoman on the boat, but she has big aspirations and is a tough girl. She hopes to one day attend a maritime academy where she can learn how to run ocean liners and freighters. After the show began to be successful, the cast and producers began to wonder, what if people could hear the fishermen’s stories outside of television? This ended up spawning several books over the years connected to the show. 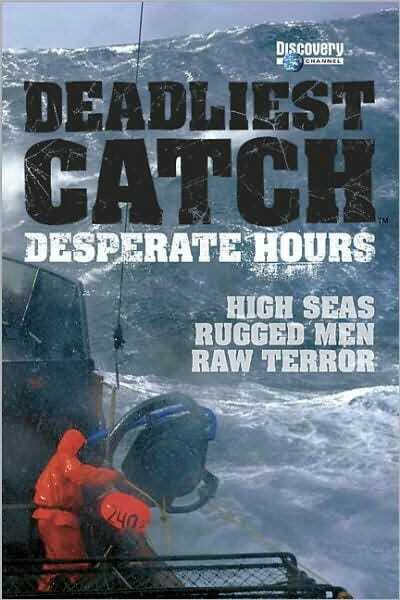 Discovery Channel released a book titled Deadliest Catch: Desperate Hours, which contained a number of true stories from the boats, as told to them by members of the cast. Many of the ship captains themselves ended up penning their own books including the Hillstrand brothers and Sig Hansen. It’s not just fans who love the Deadliest Catch, it’s the critics as well. In 2007, the show was nominated for four Emmy awards, including for Outstanding Nonfiction Series and Outstanding Cinematography for Nonfiction. 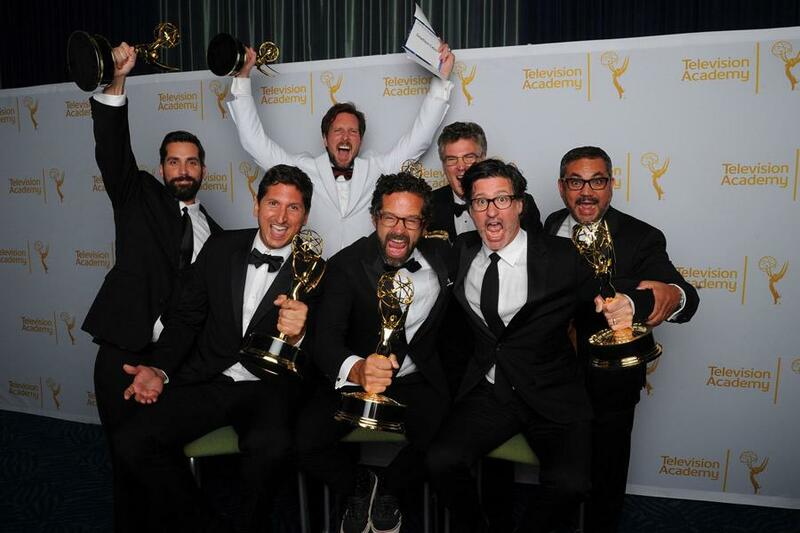 In 2012, the show was once again nominated for three Emmy awards, of which it won two. 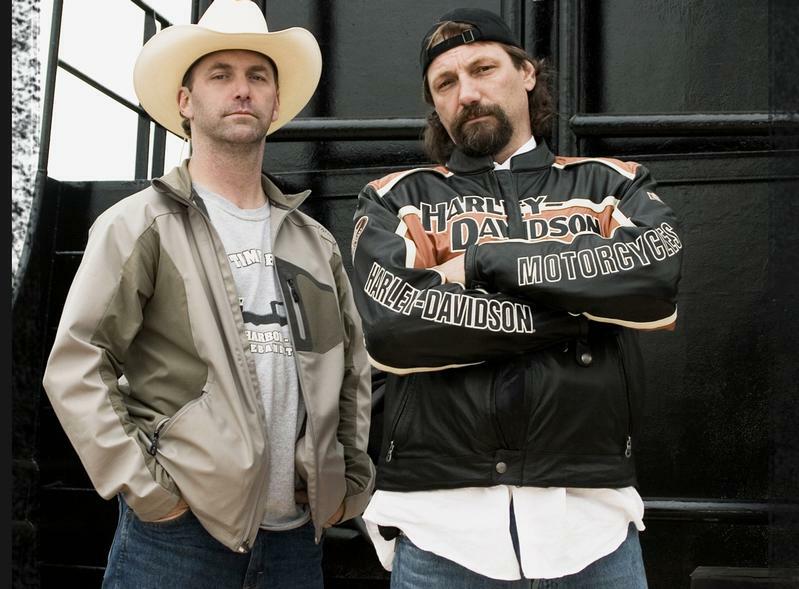 The wins were all for their season eight episode titled, “I Don’t Want to Die.” They were also nominated for an award in 2016, but ultimately lost. It was recently announced that they have been nominated again this year, so we will see how they do. Capturing the drama of the tough conditions on the high seas is no easy task. What you don’t see on the show is that in addition to stationary camera set up around the ship, each ship also has two camera men that are constantly filming. Some of the aerial shots are taken from a helicopter, while the underwater shot are usually from underwater cameras that they attach to the crab pots for a “crab’s eye view.” As if that wasn’t enough, sometimes they also have divers who film the scene from within the water alongside the boats. Have you ever been watching the show and wished that you could join in and experience a taste of the action for yourself? Well, in a way, you can. In 2008, a video game based on the show, called Deadliest Catch: Alaskan Storm was released for Xbox 360 and PlayStation. 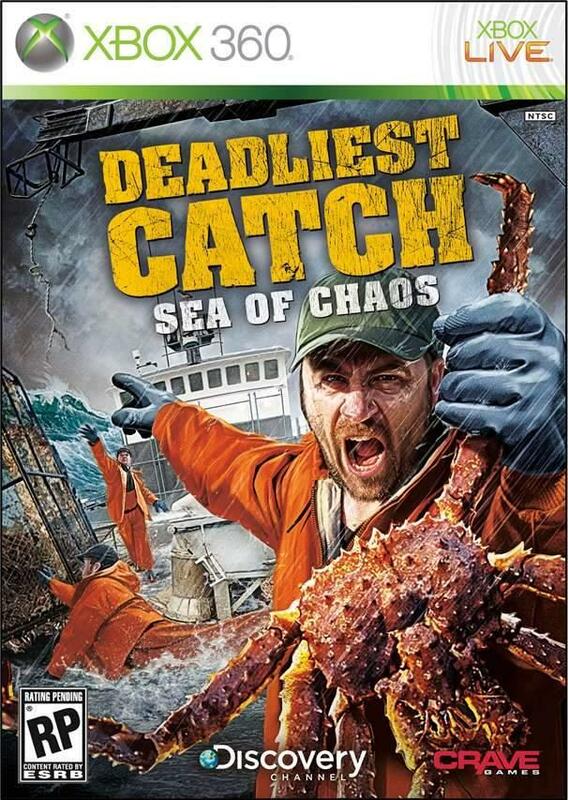 The game was followed up by another version in 2010 called Deadliest Catch: Sea of Chaos, and a third in 2015 called Deadliest Catch: Seas of Fury. The game features many of the boats known from the show, and allows you to play at being a crab fisherman. Have you ever wondered when you go out to a restaurant where your food is really coming from? Well recently, the popular seafood chain Red Lobster informed their guests that a good portion of their crab comes from one of the Deadliest Catch boats! 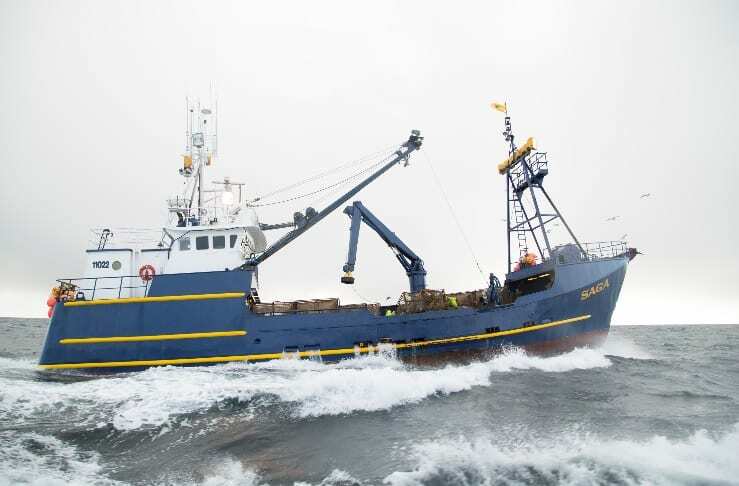 They work with Josh Harris and Casey McManus to utilize the crab product they bring in on the Cornelia Marie. Casey and Josh have said they are all about doing fishing the right way, to ensure there is plenty of crab in the water for future generations of fishermen. So next time you’re at Red Lobster, you can appreciate that yummy crab even more. All fisherman know how dangerous the job is, and it’s not uncommon for their to be tragic accidents that result in death. 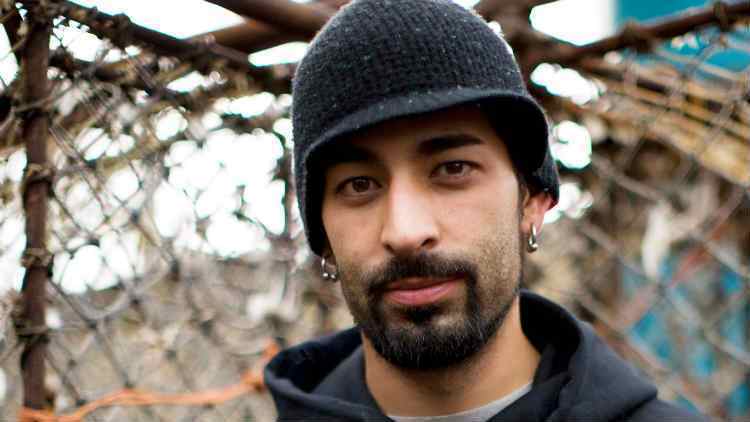 However, the Deadliest Catch crew was thrown completely off guard by the death of one of the show’s producers. 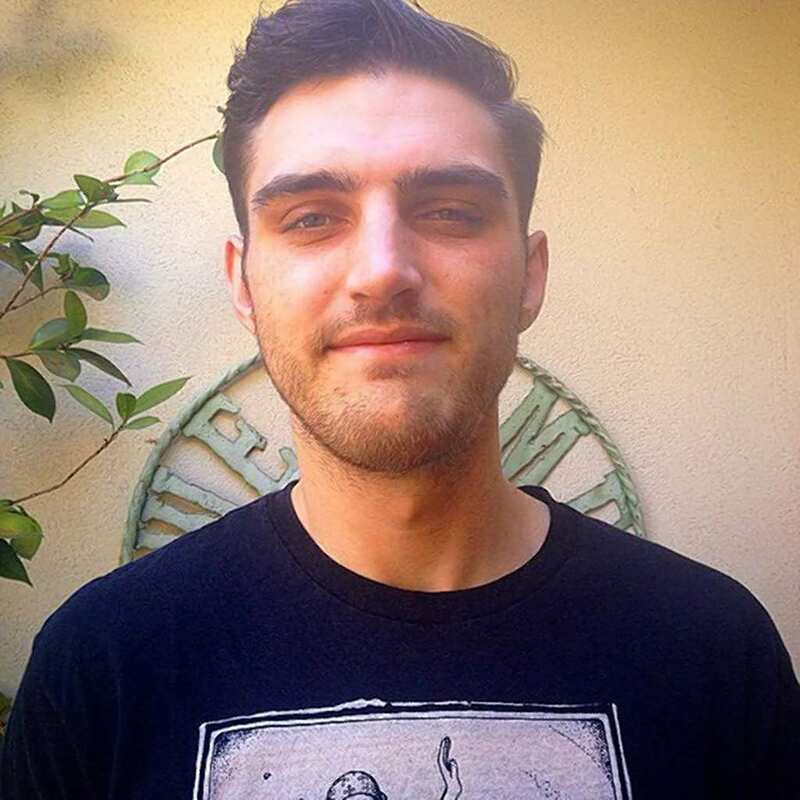 In 2015, Jon McMahon was killed near his home in California, and the police caught his killers the very next day. 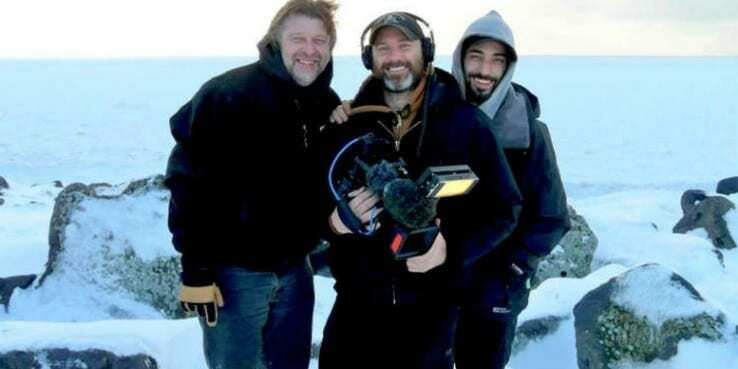 The show’s crew were understandably shocked by the news, and Discovery made a statement in which they expressed that they were “heartsick” along with Jon’s family.